MSRC has a number of experienced runners and coaches who are friendly, approachable and can assist you to become a better runner. Jim is the founder and head coach of MSRC. The club also has a number of enthusiastic and experienced runners who are friendly, approachable and can assist you to become a better runner. Jim Poussard (MSRC Head Coach) is an Athletics Australia Level 2 Recreational Running Coach who has completed over 30 marathons and events ranging from 5km to 100km. 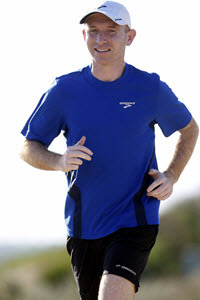 Jim is passionate about developing the runner in all of us and making running a way of life. Everyone is a coach in some way and we all have running experiences and tips that we can and do share with each other. That’s another thing which makes MSRC great. Throughout the year, MSRC hold a information seminars as required to support the running goals of members. This builds on the very successful marathon/half marathon seminars held in 2015 and early 2016, which covered training plans, nutrition, injury management and more. Keep your eye out for upcoming events.